Late last week President Trump announced his intent to place tariffs on steel and aluminum imports. Then on Tuesday Jesse Gary, the Executive Vice President at Century Aluminum, told Trish Regan on FOX Business Network that Century Aluminum will hire 300 new employees in western Kentucky thanks to Donald Trump’s announcement on tariffs this past week. US Steel followed this up by announcing Wednesday they will restart two blast furnaces and recall 500 employees in Granite City, Illinois following President Trump’s decision to tax steel and aluminum imports. A total of 800 new US steel and aluminum jobs were announced in the last week. Despite this good news DC globalists attacked Trump for completing another campaign promise. The globalists want to give other countries an advantage over US workers. 107 Republican (Globalist) lawmakers signed a letter to President Trump on Wednesday expressing concern over steel and aluminum tariffs. The list included Speaker Paul Ryan who has repeatedly attacked the Republican president this week for standing up for working Americans. But President Trump stuck to his plan. On Thursday afternoon President Trump announced tariffs on foreign steel and aluminum. 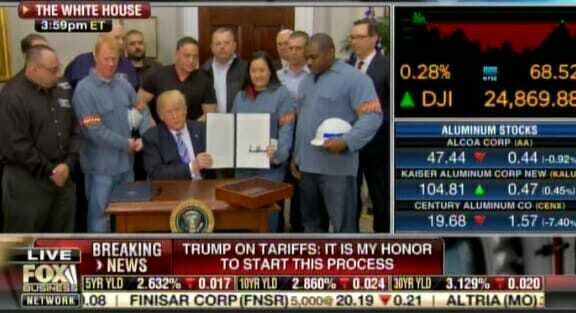 Several steelworkers then thanked the president after his speech. On Friday the Trump White House released video of James Powell, a superintendent for Century Aluminum. Powell expressed his thanks to President Donald Trump for protecting American workers against unfair European and Asian trade practices that threaten his profession. 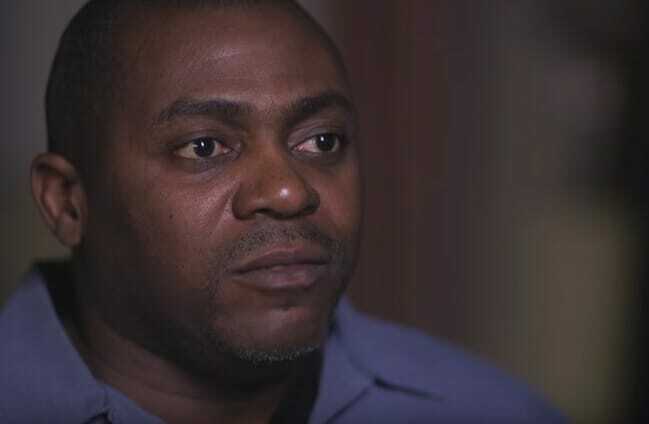 The post Steel Worker Thanks President Donald Trump “It Feels Like He’s One of Us” (VIDEO) appeared first on The Gateway Pundit.